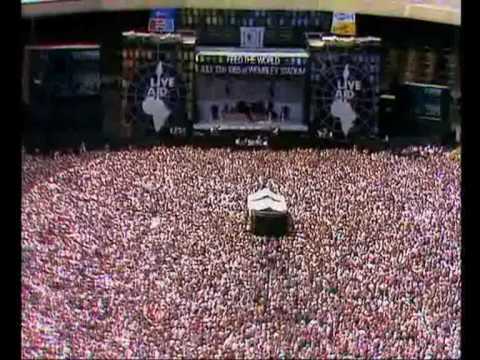 Thinking of the Live Aid Concert held thirty years ago, those words made a lot of sense to me. I was in one of my “walk down memory lane” moods, just after my man had shown me a video of Cliff Richards singing Bachelor Boy and was also very nicely reminded that I hadn’t blogged for a very long time. I know a lot of people in my generation will remember that event. I was in my first year of under graduation and was madly in love with most of the singers who performed in two different places simultaneously. It was truly a one of a kind concert. Sixteen hours of music from the who’s who in the musical world, 72,000 people at London’s Wembley Stadium, 100,000 more at Philadelphia’s John F. Kennedy Stadium and nearly two billion TV viewers at home watched more than 75 popular acts & some of the outstanding performers teamed up in interesting combinations, including (temporary) reunions of three of the most important groups in rock history. Crosby, Stills, Nash & Young, Black Sabbath & Led Zeppelin reunited to perform for this event. the triumph of technology combined with sheer good will – all made it hard to forget. A lot of us still recount how some of the acts were performed….Mick Jagger and Tina Turner in a very Vegas like act with Jagger changing costumes mid song (bizarre is how some would define it), Sir Elton John belting out five of his super hits, including ones with Kiki Dee and George Michael and Sir Paul McCartney singing “Let It Be”. 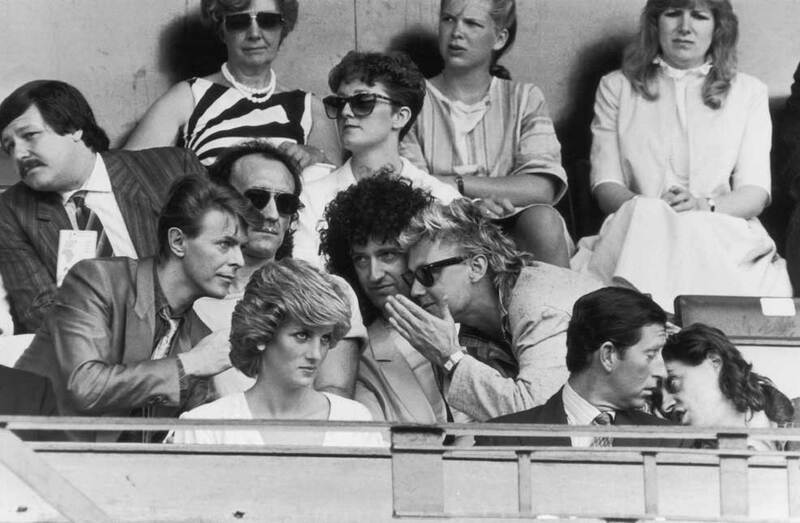 My personal favourites were also there Bob Dylan, Queen, Sting, Bryan Adams, U2, Tome Petty & Phil Collins. Phil Collins riding high both as a solo star and as Genesis front man at the time — thrilled the audience with his humour and singing. With the help of the Concorde supersonic jet, he played solo sets at both the London and Philadelphia shows. Plus, he played drums for both Eric Clapton and Led Zeppelin. After he was introduced on the Philly stage by Jack Nicholson & Bette Midler, listening to him sing, “In The Air Tonight” & playing the piano, was treat beyond words. traveled to Ethiopia after hearing news reports of a horrific famine that had killed hundreds of thousands of Ethiopians and threatened to kill millions more. After returning to London, he called Britain’s and Ireland’s top pop artists together to record a single to benefit Ethiopian famine relief. “Do They Know It’s Christmas?” was written by Geldof and Ultravox singer Midge Ure and performed by “Band Aid,” an ensemble that featured Culture Club, Duran Duran, Phil Collins, U2, Wham!, and others. It was the best-selling single in UK to that date and raised more than $10 million. “Do They Know It’s Christmas?” was also a No. 1 hit in the United States and inspired U.S. pop artists to come together and perform “We Are the World,” a song written by Michael Jackson and Lionel Ritchie. “USA for Africa,” as the U.S. ensemble was known, featured Jackson, Ritchie, Geldof, Harry Belafonte, Bob Dylan, Cyndi Lauper, Paul Simon, Bruce Springsteen, Tina Turner, Stevie Wonder, and many others. The single went to the top of the charts and eventually raised $44 million. The event had Bob Dylan, Keith Richards & Ron Wood (both guitarists from Rolling Stones) performing. Some artists’ works speak for itself and some artists’ works speak for it’s entire generation – that’s the power of Bob Dylan’s contribution to the world of music. To be called America’s voice of freedom is no small achievement and he once again proved it on stage that evening when he spoke about the plight of the American farmer. This actually led John Mellencamp, Willie Nelson & Neil Young to organise Farm Aid, a concert that was held a few months later and has continued to be held every year, except for two years. Beatle Paul McCartney and the Who’s Pete Townsend held Bob Geldof aloft on their shoulders during the London finale, which featured a collective performance of “Do They Know It’s Christmas?” Six hours later, the U.S. concert ended with “We Are the World.” Live Aid eventually raised $127 million in famine relief for African nations, and the publicity it generated encouraged Western nations to make available enough surplus grain to end the immediate hunger crisis in Africa. Bob Geldof was later knighted by Queen Elizabeth II for his efforts. In a lot of ways, to me this global charity event was like the final fanfare of the musical industry. The kind of reverence the world had for pop music and it’s stars came to an end during that period…with the internet changing how music is heard, downloaded & stored, the reduced combination of acts of kindness, influence and music or even the absence of a younger version of Sir Bob Geldof willing to take the lead to bring musicians together for an act like this. 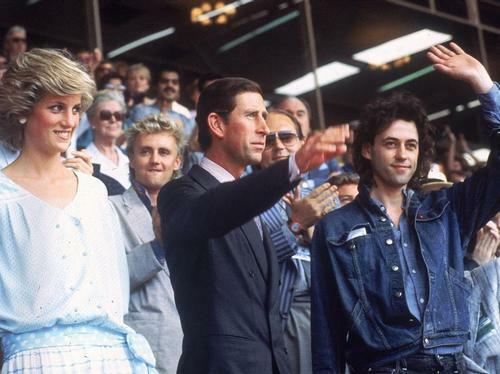 I have always wondered…why couldn’t we have another Live Aid? have worshipped and enjoyed music as much as they did on that 13th July 1985. Deliriously happy, swaying their hands and pumping their fists in unison to Queen’s Radio Gaga, clambering over shoulders to listen to Sting sing Money for Nothing with Dire Straits or join the artists in the two songs that will represent musical harmony to me – Do They Know It’s Christmas and We Are The World….that ecstasy transformed millions of living rooms that day, when the proxy audience was glued to their televisions and donating their money. 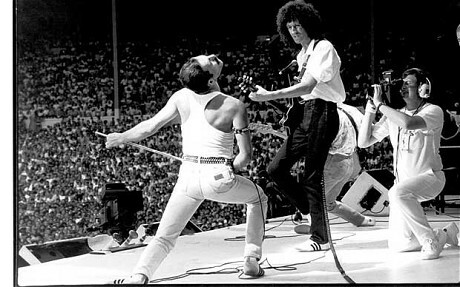 Live Aid created a surreal, magical experience of listening to thrilling live music…something I will never ever forget in my lifetime. “Because I like you,” she said, “and I don’t want anything from you.”― Ray Bradbury. I chanced upon an article in New York Times and it has left a deep impact on me. And because it is about love, Valentine’s Day seemed the right day to write about it. This is the story of Isaiah Berlin and Anna Akhmatova. For all my readers who do not know them, Isaiah Berlin was a 20th century political theorist, philosopher and Anna Akhmatova was a great pre revolutionary poet. Berlin met Anna in Leningrad in 1945 one night, when he was hanging around with a friend. Berlin walked into the apartment to meet a beautiful woman, powerful, but wounded by the atrocities of war. Her husband was executed in 1921 on false charges. She had stood for 17 months outside the prison, vainly seeking news about him. Like all strangers meeting, Berlin and Anna met. Their conversation was restrained, talking about war experiences and British Universities. People came and went. By midnight they were alone, sitting on the opposite sides of the room. She told him about growing up, her marriage and her husband’s execution. She recites Byron’s “Don Juan” with such passion that Berlin turned his face to the window to hide his emotions. She then recited some of her own poems, breaking down as she described how they led the Soviets to execute one of her colleagues. By 4.00 in the morning, they were talking about the greats – Pushkin and Chekhov. Berlin was impressed with the light intelligence of Turgenev, while, Anna appreciated the dark intensity of Dostoyevsky. works of culture, in humanity’s great storehouse of inherited emotional and existential wisdom. Both came from a culture that encouraged people to possess a certain intellectual scope to lead an interesting and fulfilling life. My own experience has been when you have such life altering conversations, it is because my man and I have done our reading, discussed big ideas and big books (classics & neo classics) that have actually taught us how to experience life in all it’s richness, make subtle emotional and soul searching evaluations…and not judgements. This can happen when both are spiritually ambitious, combing through the common language of literature, written by amazing geniuses who understand us better than we understand ourselves. That night, Berlin and Anna experienced a beau ideal of a certain kind of bond. A bond that is felt once or twice in a lifetime. 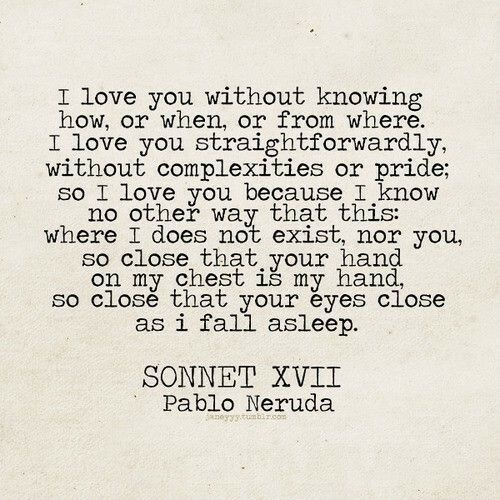 Just that much, because I would like to call it a sort of love bond that depends on a lot of coincidences. For Berlin and Anna, it was piecing of the jigsaw puzzle…a puzzle that seemed incredibly complicated when they were introduced in the early part of the evening. As the night progressed, they discovered they were the same in many ways. There was such harmony that all inner defences crumbled in one night. This communion that was intellectual, emotional, spiritual, created a combination of friendship and love. It was an important night for both. For Berlin, it was an event that left him totally changed. For Anna, it later turned in to suffering. The Soviet government tortured her for cavorting with a British spy. Her son was imprisoned and Anna expelled from the Soviet Writers Union. Yet, she never once blamed Berlin for all this. Instead, she continued to write about the luminous magic of that night. I can say that with a big smile on my face, and…in my heart! There’s something about the end of the year that makes a lot of people sit up and take stock of what has happened in their lives. I include myself in this. This is the time to dig within, and discover what you would like to have happen in your life this year. At least, this helps me do my part. To me it is an affirmation that I am interested in fully living life in the year to come. Life to me has always been a simple journey, filled with adventure and excitement, to be enjoyed with people who want to be art of your life…not just with people you want in your life. The last week I have been pondering about what to write as my last blog for 2014. The year ending and a new year beginning is all about you or me, its about expectations, aspirations and our relationships we nurture, build and carry with us. Hence, the acronym YEAR made perfect sense…therefore, the year that was and the year that will be! Every year begins with you and ends with you. It’s all about you! People get you presents for some occasion or the other, but, your best present you get never changes: Your own existence! It is also your best present to others! What the new year brings you will depend on what you bring to the new year. I bring new hopes, new dreams and desires, my ability to aspire and therefore, inspire. I will build more this coming year based on the foundation laid last year and the years before that. That is the bedrock of my life. Every single year we become different people…all of us, one way or the other. I don’t think we are the same person all our lives. In 2015, I will learn to love the new person I have become a little more…maybe a lot more. For if I don’t love myself, how & why do I expect others to love me? Will you promise to love yourself a little more this year? I hope that in 2015 I’m not afraid to make my share of mistakes. When I’m making mistakes, I’m doing new things, trying new things, learning, living, pushing myself, changing myself, changing my world. Will you do things you’ve never done before? Because, then you and I are Doing Something. My biggest lesson in life – You can’t base your life on other people’s expectations. I try not to listen to the shoulds or coulds, and try to get beyond expectations, peer pressure, or trying to please – and just listen. I believe all the answers are ultimately within us. It definitely would not make sense to lower your expectations to meet your performance. Raise your level of performance to meet your expectations. Expectations for me are all about what is truly important for me in life, that makes me happy and enable me to keep my loved ones happy. It’s faith in something and enthusiasm for something that makes a life worth living. My lesson is enthusiasm come from my Labrador, Whiskey. His unfettered enthusiasm to do everyday activities is so infectious…it teaches me how to live life daily with that passion. Enthusiasm spells the difference between mediocrity and accomplishment. I read somewhere that it is better to arouse enthusiasm in people than in teaching the facts. The facts may change, but that enthusiasm for exploring the world will remain with them the rest of their lives. Go where you want to go, where your dreams and desire take you…but, go with enthusiasm and passion. My experience has been when dreams are combined with passion, they become a reality for us. Attitude is that one little thing which makes a big difference. The older I get, the more I realise the importance of attitude. Attitude, to me, is more important than facts. It is more important than the past, the education, the money, than circumstances, than failure, than successes, than what other people think or say or do. It is more important than appearance, giftedness or skill. It will make or break a person… a group… a home. The remarkable thing is we have a choice everyday regarding the attitude we will embrace for that day. We cannot change our past… we cannot change the fact that people will act in a certain way. We cannot change the inevitable. The only thing we can do is play on the one string we have, and that is our attitude. I am convinced that life is 10% what happens to me and 90% of how I react to it. And so it is with you… we are in charge of our Attitudes. Attitude to me, is the magnet that attracts people to you. When you are joyful, when you say yes to life and have fun and project positivity all around you, you become a sun in the centre of every constellation, and people want to be near you. A positive, sunny attitude is what gets me through the grey or dark clouds of life. My disposition determines how I lead my life, not my circumstances. I may or may not have control over my circumstances, however, I have control over my disposition. I choose an attitude that enables, empowers & enhances everything in my life. So, what does the new year bring? 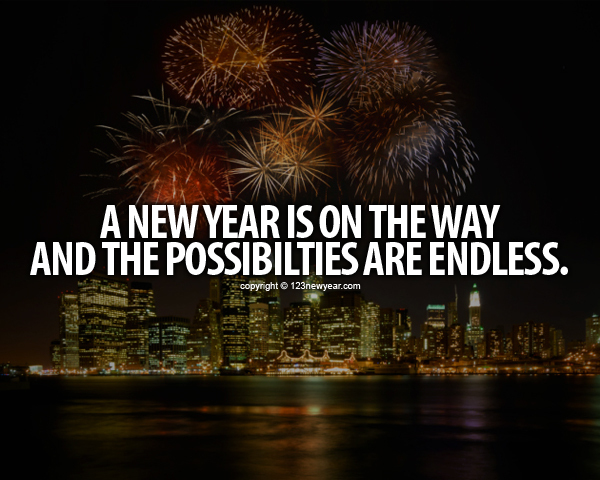 2015 brings me at least 365 new opportunities. Unless a man starts afresh about things in the new year, he will certainly do nothing effective. 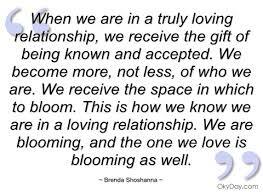 This is also true for our relationships. In the past year, we all would have forged new relationships, strengthened some old relationships, messed up some old ones… The time has come to heal those by starting anew. Lots of things can be fixed. Things can be fixed. Relationships can be fixed too, provided the respect and trust is there. Love alone, may not suffice. 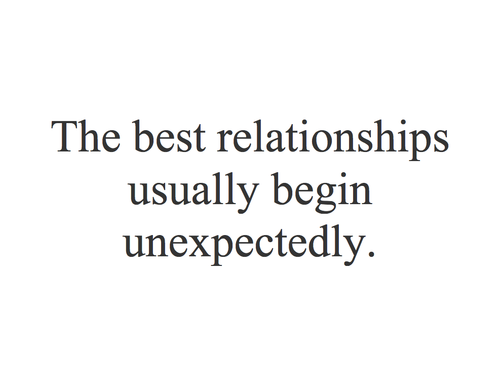 Relationships are mysterious. We doubt the positive qualities in others, seldom the negative. You will say to your partner: do you really love me? Are you sure you love me? You will ask this a dozen times and drive the person nuts. But you never ask: are you really mad at me? Are you sure you’re angry? When someone is angry, you don’t doubt it for a moment. Yet the reverse should be true. We should doubt the negative in life, and have faith in the positive. And, that, my friends will be my commitment for 2015. Trust the positive, the laws of the Universe, have faith in the general goodness of mankind and believe that one day, we will have peace that we, as human beings really deserve. Work on containing the toxicity around by adopting an enthusiastic and positive approach to life, people and circumstances. Of course, it is going to be tough. I can assure you it will be worth the while. You will be ready to embark on your journey in 2016 in a lighter, more carefree manner. 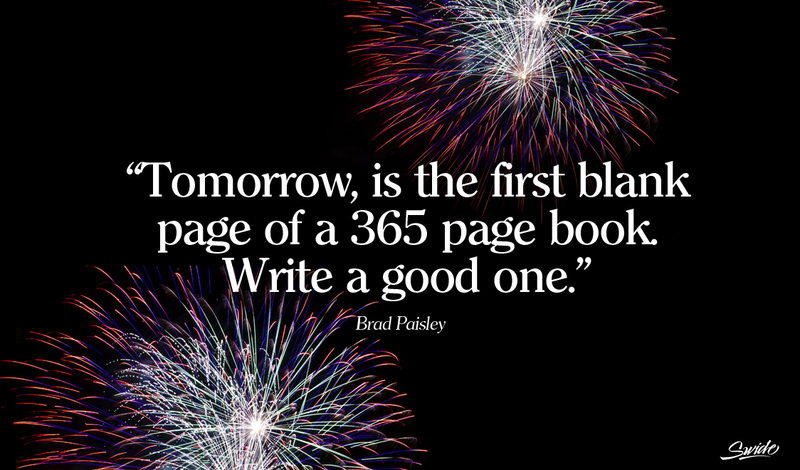 2015 is for the new you. You can pass through another year, coasting on cruise control. Or you can step out of your comfort zone, trying things you have never done before, & make 2015 as the year that you elevate from where you are & soar high. Make it happen! Because I am going to! 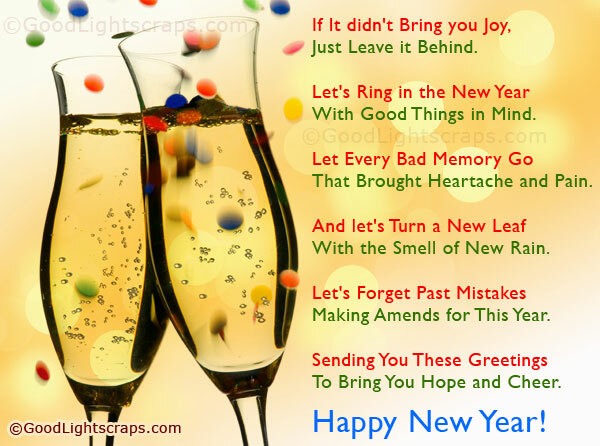 WISHING ALL YOU WONDERFUL PEOPLE A GREAT NEW YEAR DESIGNED AND CUSTOMISED TO FULFIL YOUR DREAMS AND DESIRES! The eagle has the longest life span among birds. It can live up to 70 years. However, to reach this stage the eagle must make some hard hitting decisions. After flying for 40 long years, the eagle’s talons are no longer sharp enough to catch the prey it needs as food. The long sharp beak is bent…it’s old aged & thick wings become heavy & get stuck to the chest. This makes it difficult for the eagle to fly. Can you imagine the torture of a bird when it cannot fly? It’s similar to the torture that you & I undergo when we know we cannot walk! The eagle is now left with only two choices in life. To die or to begin a process of change that lasts 150 days. The process is painful. It requires the eagle to fly to a mountain top and nest itself there throughout the change. The eagle then starts knocking it’s beak out till the beak is out. And then it waits patiently for a new beak to grow. The next stage is for the eagle to pluck it’s talons out. The eagle does this and waits for a new set of talons to grow. The last stage is for this majestic bird to pluck it’s feathers out. Then wait patiently for the feathers to grow. After 5 months of this step by step change, the eagle is “reborn” and is ready to take flight and live for another 30 years. When I read this, I had goose bumps. The sheer physical torture that an eagle goes through to live 30 years is a lesson for all of us. Change has become an inevitable part of all our lives. Yet, how many of us focus on whether that change is doing something positive for us or not!!! The eagle’s story brought out some paradigms in life for me. Decision Making – in life we all reach situations where we have to take decisions. We all do take decisions in life. The question is are they timely decisions or are they procrastinated ones? Timely decisions help us in moving ahead with actions…procrastinated ones may not have the same impact or worse, may not have any impact at all. The decision to change something in life is always a difficult one…as we are habituated to a comfort zone. Very often the change itself may not be a difficult one to implement, it is our mental paradigm that makes it difficult. Change Paradigms – very often when we focus on bringing about change in our lives, we focus on the end objective so frequently, that we lose out on the step by step approach to change. Change is not something that happens overnight. Change is a process…remember the eagle & the 150 day process. It has been said that for any change to be effectively implemented by us, we need to follow the process for 21 days at least. It takes the human mind 21 days to condition itself. After that the process is easy…your mind demands it! It is those 21 days that we need to focus on everyday acts that will help us condition ourselves. 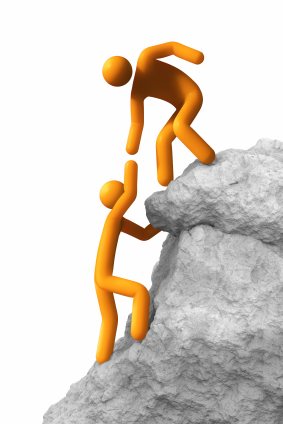 Single Handed Approach – I have also realized that any change that I implement in life must start with me & me alone. Like the eagle sits alone to go through the painful process…what I need to do in my life, I need to do it alone. The others around me will support me, give me words of encouragement, stand by me when I feel the pains & the pressure…but, the emotions, feelings & experiences I go through are mine & mine alone. I need to be one with myself to learn from those experiences. It is a single handed approach! Many a times, in order to survive we need to implement a process of change. We sometimes must get rid of old memories, habits, traditions & experiences. Only when we are free from past burdens, are we free to enjoy the present and work towards the future. Our lives are not determined by what happens around us, but by how we react to what happens around us. Not by what life brings to us…but by what attitude we bring to life. We all reach a stage in life when we have to make noticeable changes in our lifestyle, work, approach & attitude. So…let us change to affect that change!!! Guide Of Destiny…GOD!!! I have been at two different events over the last few days…seemingly different, yet the same. The differences are not what I am writing today. My focus is on the commonality I saw and that is to have someone in your life who will hold your hand to the finish line. I am not writing about mentoring as a process today…I love telling stories and am going to share some experiences here…personal & others. Pallavi’s story personally touched me. She was the one who coined the term “Guide Of Destiny”. After a very successful career, achievements & glory, she decided to take a break. The break became a challenge for her. By the time she recognized this 6 months had gone by and then she desperately started seeking for help. A couple walked into her life to handhold her and bring her out of her despair. They enabled her to see opportunities that she may not have seen otherwise. So, the first takeaway I have here is you need to become a seeker. Seek & you shall receive…but seek with your heart! Harrison’s experience brought out another dimension for me. Growing up in northwest Montana, he was fortunate to have an innovative neighbor who encouraged him on a weekly basis. One morning, six year old Harry, walked over to Mr. Clawsonʼs garage to see what he was building. That day, he was working on a contraption to clean up oil spills in the ocean. Mr. Clawson showed Harry how his device worked, talking to him as an equal. He then asked Harry to critique his design and offer suggestions for improvement. This genius was asking a six year old for improvements on an invention that would clean up oil spills! That simple gift of encouragement from Mr. Clawson changed Harry’s life forever. Harry realized that his own thoughts about the world had value & was on cloud nine for days and felt he could pursue anything and be successful. The second takeaway is as a mentor to be genuinely interested and to listen to what your mentee is saying. A mentor is someone who guides you because of the experience he/she has and not necessarily because he/she is a subject matter expert in your field. My own mentor is someone whom I liked from the day I first met him. Binod & I clicked as individuals when we met and I thought initially that it was because both of us are people oriented. As days passed I realized that everyone connects to Binod & that is his unique quality. He has remained more committed to my success than I have been at times. And when I have felt low, he has been a sounding board & a punching bag. As my Guide Of Destiny, he continues to stand by me, giving me that firm yet gentle nudge to take the next step & move ahead. As a mentor Binod gives me so much that I have no choice but take a leap forward. Here is the third takeaway – you need to be a Go Giver. Lastly, here’s my own experience of being a mentor to a young cousin who subsequently became a business partner also. Seema spoke to me about pretty much every aspect of her life & looked for advice, suggestions, etc. I only realized I was put in the role of a mentor when her parents (my Uncle & Aunt) started telling me about her actions at home…she was implementing most of things that I had encouraged her to do, to the extent that today a lot of people call us mirror images of each other in thought & behavior. 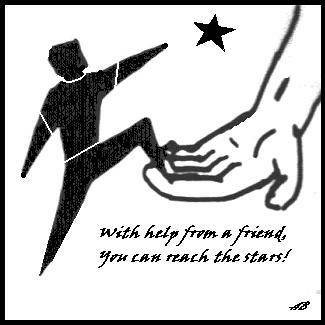 That brought home another point…the absolute trust that a mentor & mentee enjoy with each other & duplicating what the mentor says & does. I was travelling by an overnight bus and had difficulty falling asleep…for the obvious reasons. So, out came the headphones and the music followed. It also led me down memory lane. In the good old days, when sleep eluded me as a child, the solace was my grandmother’s stories. Every story eneded with a teaching or moral which she insisted that we express in our own words. The lessons have stuck on for a lifetime. Two travelling monks reached a river where they met a young woman. Wary of the current, she asked if they could carry her across. One of the monks hesitated, but the other quickly picked her up on to his shoulders and carried her across the water to the other bank. She thanked him and departed. As the monks continued on their way, one was brooding and preoccupied. Unable to hold his silence, he spoke out: “Brother, our spiritual training teaches us to avoid any contact with women, but you picked that one up on your shoulders and carried her!” “Brother,” the second monk replied. “I set her down on the other side, while you are still carrying her. As the old man walked the beach at dawn, he noticed a youth ahead of him picking up starfish and flinging them into the sea. Catching up with the young boy, he asked him why he was doing this. The answer was that the stranded starfish would die if left in the morning sun. “But the beach goes on for miles and there are thousands of starfish,” countered the old man. “How can your effort make any difference.” The young boy looked at the starfish in his hand and then threw it to the safety of the waves. “It makes a difference to this one,” he said. Perceptions…Two Sides Of A Coin! There was a murder in Texas at Halloween, and the FBI were called in to investigate. Hitchcock, one of the officers, saw something written in blood on the wall. It looked like the number ‘7734’, but he was not sure; anyway, he took lots of pictures. When Hitchcock got back to the lab he developed the film of the crime scene, but he still could not make any progress with the number. In the hope of inspiration, he took the sheaf of photographs home and spread them on the dining room chair. Just at that moment his 7 year old daughter Emma came in through the patio door opposite, and looked in the mirror. 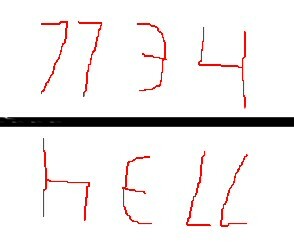 ‘Why have you photographed hell?’, she asked, then Hitchcock saw that upside down, and mirrored, 7734 spelt: ‘hELL’. Very often in life we need others to show us the mirror and yet we may not see what they see. When we do…it is defined as an “Aha” moment!!! A picture that actually creates such a moment is given below. It will be interesting to see how people interpret the picture. The picture doesn’t really change…we just emphasize different parts of it and assign them different meaning. Look at these two arrows. Which horizontal line is the longest? They are exactly the same size. However the top one looks longer than the bottom one. It is on optical illusion tricking us into assigning a different meaning to what we see. A chalice or two faces? See how your perception slips from one to the other once you recognize them both? The thing about perception is it is an internal guidance system, can also act as a reflective tool of self-aware learning, and it is something each of us is using every moment of every day. Though it can be painful to really examine ourselves internally, and try to understand our own motivations and behaviors and cyclic patterns, it inevitably leads to a truer sense of self awareness. And this is the goal of any awakening; to better understand who we are. My experience has taught me to always be careful and watchful of how I am perceiving things. This was difficult at first, it was not always easy to shift from “I am my mind” thinking into “I am observing my mind” consciousness. And yet, when I practiced it, I found how simple it is to shift back and forth. From doing to being. One of the most inevitable result is conflicts that can arise with others when our perceptions clash. See how you may be limiting yourself or another based on your perception. Are you able to differentiate between what you perceive, and what another perceives? We do this in everything in life, and some of our most intense personality clashes occur due to a perceptive difference which lends itself to aggressive defensiveness. The power of a person’s reality can have tremendous impact on how he shapes his future. What do we mean by this? Keep repeating the statement, “I Can’t” at least 50 times and see the impact it has on you. By the end of the day, this would become your reality & you really can’t. On the contrary, keep repeating, “I Can” and “I am”. The positive reinforcement will attract factors that will enable you to achieve. This is also reality…but this is again your reality. So, what is the difference between the two realities. Here is an example to illustrate this. We all know who invented the aircraft…the Wright Brothers. What do you think happened when they explained their idea of a human being able to fly. As usual, most people laughed while some others adopted the wait & watch style. However, the Wright Brothers did not give up their idea. The brothers were also smart. They knew they faced risks in terms of flying first, but they were not risky. They chose a large flat piece of land to experiment and experiment they did – for five years, till they were able to fly a few inches above the ground and for less than a minute. Like all smart people they accounted for failures and decided to fail on flat ground rather than any other place. They also continued to practice failing till they could fly. Because they could take risks wisely, they changed the world forever! “You really don’t think this kind of money is possible”…and so on. What are these folks telling us? Where are they coming from? They are coming from their reality. Their reality has conditioned them to make such statements. People in the first group are stuck in their reality. They are unwilling to change their reality & move. As a result the perceptions get built accordingly and perception becomes reality. People in my reality group understand the need to change reality based on opportunities. Every opportunity is explored and understood to shift paradigms. The question now is how do we change our reality. By leveraging of course. There is a catch here – do not leverage others before you start leveraging yourself. In other words, leverage your mind. Our mind is the most powerful tool and what we think becomes reality in most cases. As the old adage goes…”what the mind thinks becomes flesh…” For example someone who thinks that investing in the stock market is risky, will look for information to substantiate his/her reality. So all the news they read or hear from others will relate to how people have lost money in the stock market. The mind has the power to see what it believes as reality, thereby blinding it to other realities. Just as people told the Wright Brothers that humans can’t fly, we will have people tell us that what we want in life is either impossible or may not be possible only for us. Therefore, what is my reality?